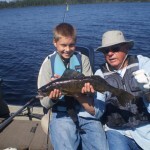 The walleye is a member of the perch family found in rivers, reservoirs and all types of lakes. Wherever they occur, these fish spend most of their time in dark areas at the bottom of the waters, protecting their distinctive and sensitive eyes from the brightness of daylight. 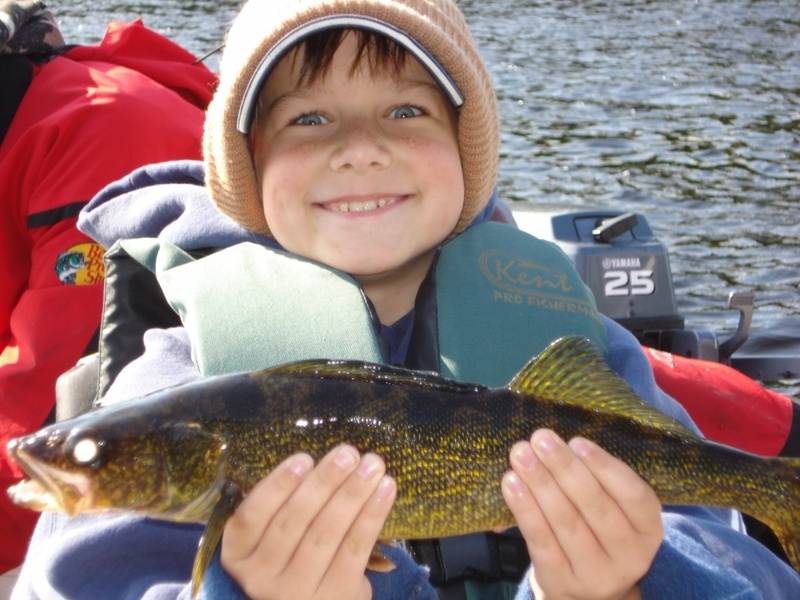 The walleye is named for its bulging, marble-like eyes. The reflective layer behind the retina in the eye is called the tapetum lucidum: it improves the fish’s sight, giving it an advantage over prey at night or in cloudy waters. 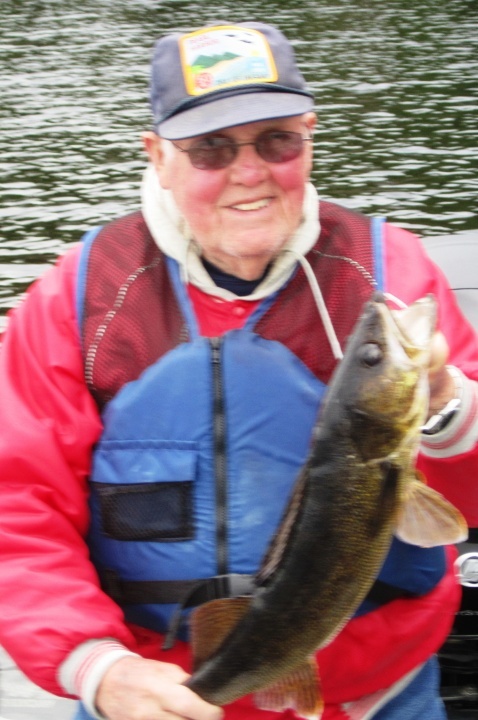 Walleye go by other names like Eyes, Pickerel, Hawgs, & Walter. They range from Alabama to the upper edges of the Canadian Provinces and west to the Rockies and east to the Appalachian Mountains. 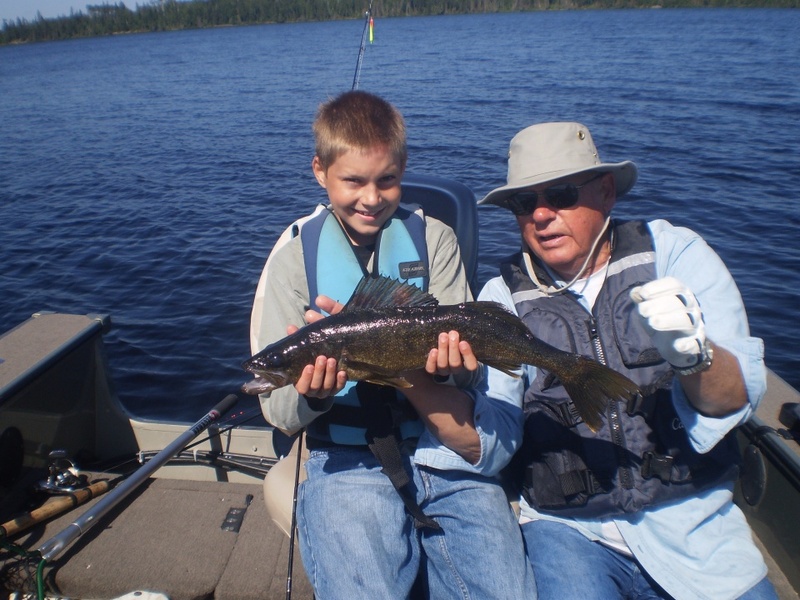 The walleye is a torpedo-shaped fish that ranges in colour from dark olive brown to yellowish gold with brassy flecks marking its side. 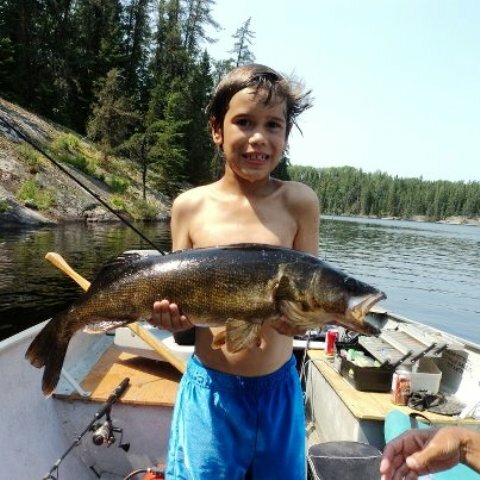 This colouring is fairly standard across all Canadian regions, but can vary slightly depending on the clarity or hardness of the waters where the fish live. 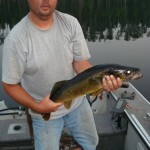 Check out the dark back/gold belly Walleyes Narrow Lake produces! 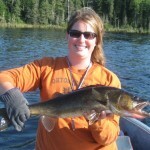 Woman River Camp is located on fantastic Walleye waters. 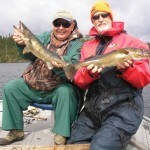 The chain of lakes has current areas for great spawning locations. Weedbeds, deep water, excellent baitfish population for forage. 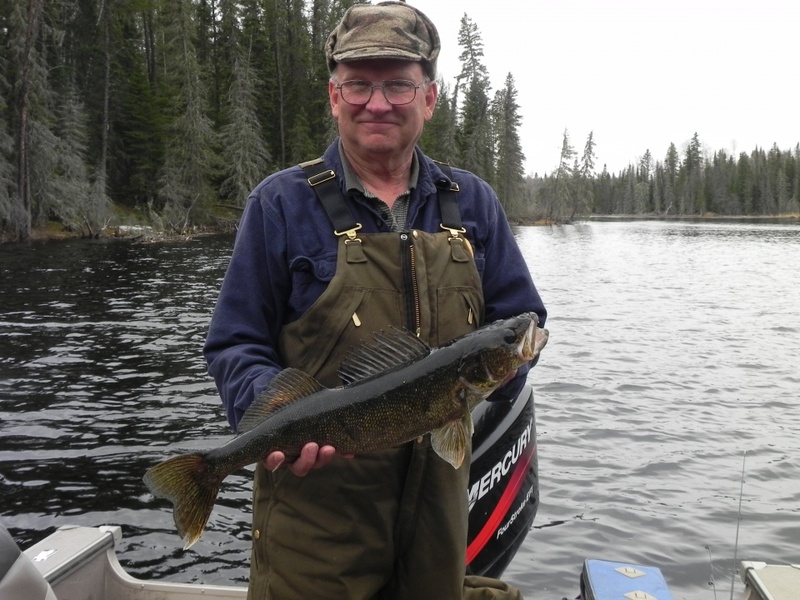 Perfect habitat for Walleye to thrive in! 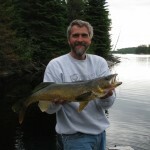 Walleye reproduce (spawn) over rock, rubble or gravel in rivers or windswept shallows-anywhere the current clears away fine sediment (sand and debris) and cleans and brings oxygen to the eggs. 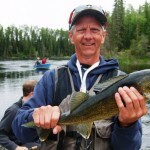 Male walleye migrate to spawning areas in early spring when the water temperature is a few degrees above freezing. Females, which are larger, arrive later. Eggs hatch in about 26 days if the water temperature is around 4 degrees Celsius and in 21 days if temperatures are higher (between 10 and 13 degrees Celsius). 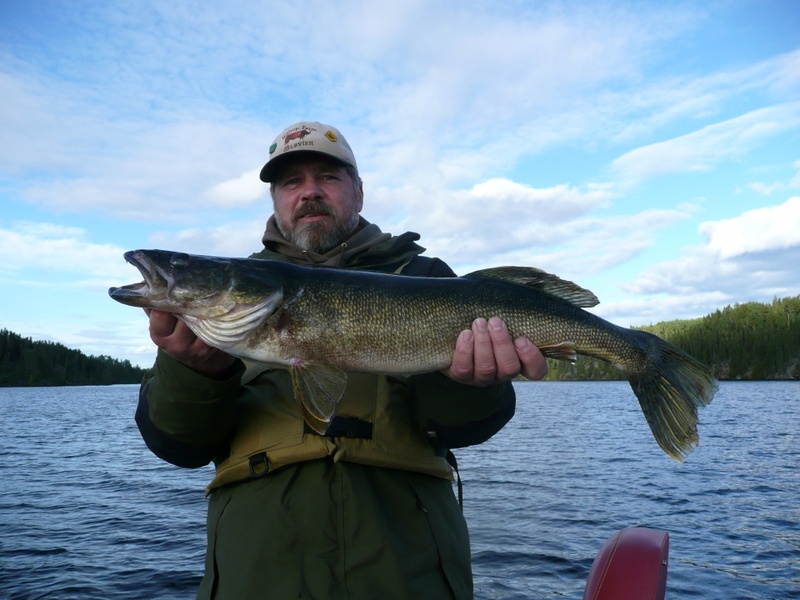 The walleye ‘nursery’ is usually one to three metres below the surface and close to shore. This habitat where young fish are born usually contains underwater structure or cover that provides shelter from predators. 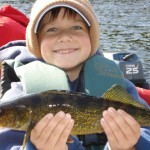 Once hatched, the baby walleye (called fry) must find food within three to five days or they will die. Their fins are not fully developed at this stage, so they can swim only vertically. This forces them to let the current to carry them to areas where food such as zooplankton (small crustaceans) and fish larvae are available. 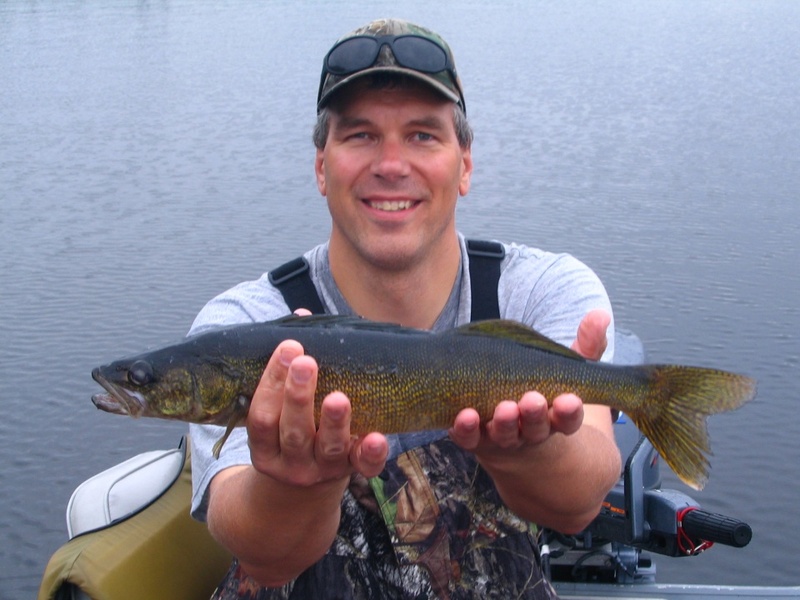 The walleye’s vision and habitat preference change in the first year of life. The fish become sensitive to light (photosensitive) once they grow to between 25 and 40 mm. This is when they start to seek out darker surroundings. The physical changes that help them see in the dark finish late in the first year of life. 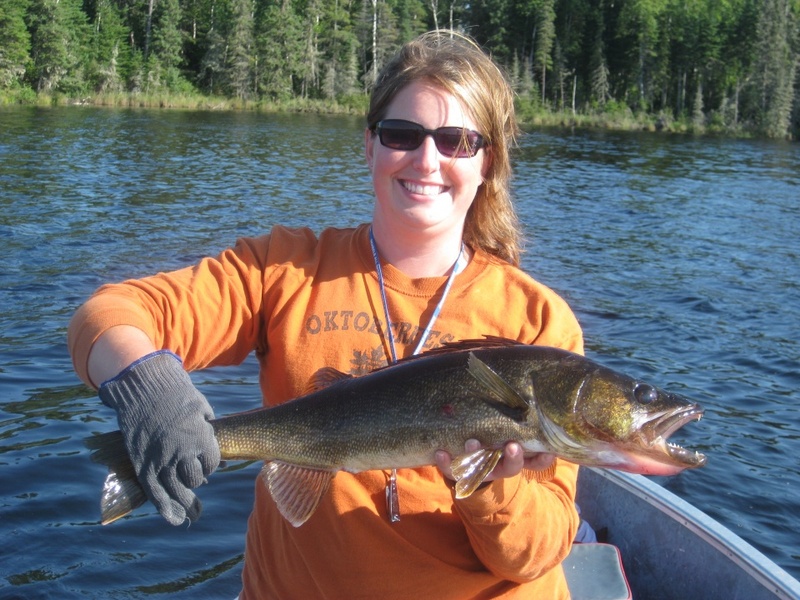 Male Walleyes sexually mature at approximately 3 years of age and females approximately 5 years. 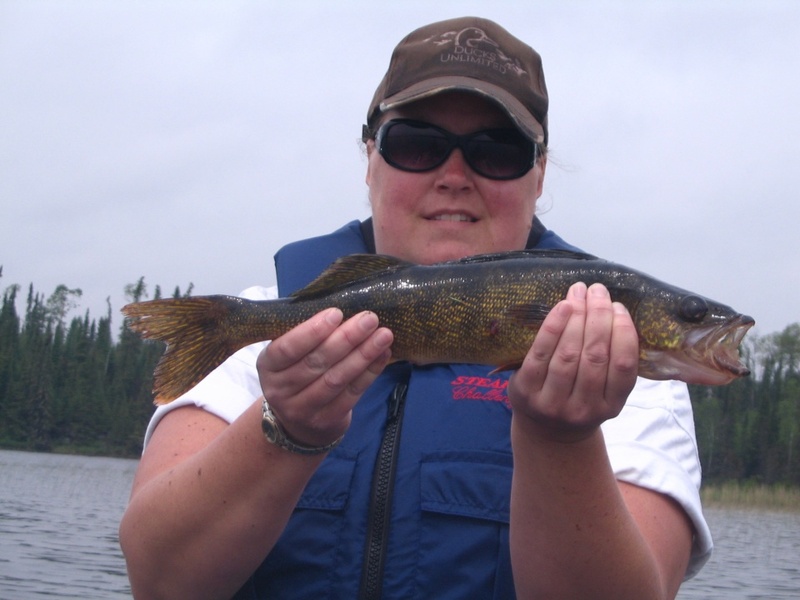 The average weight and length of a 5 year old female Walleye is 1.8 lbs and 17” long in Northwestern Ontario. 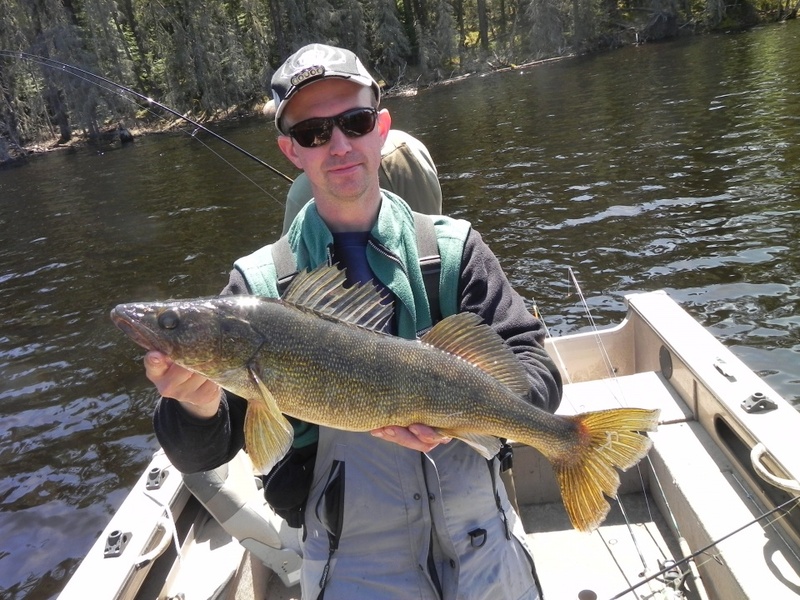 Springtime is a critical time for Walleye. It’s the time to reproduce. 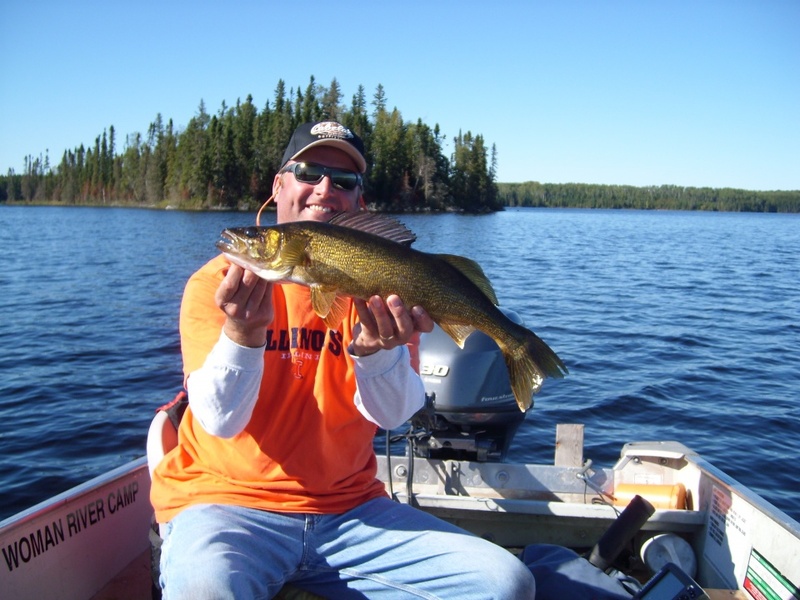 Walleye will travel great distances to current areas with good spawning structure. 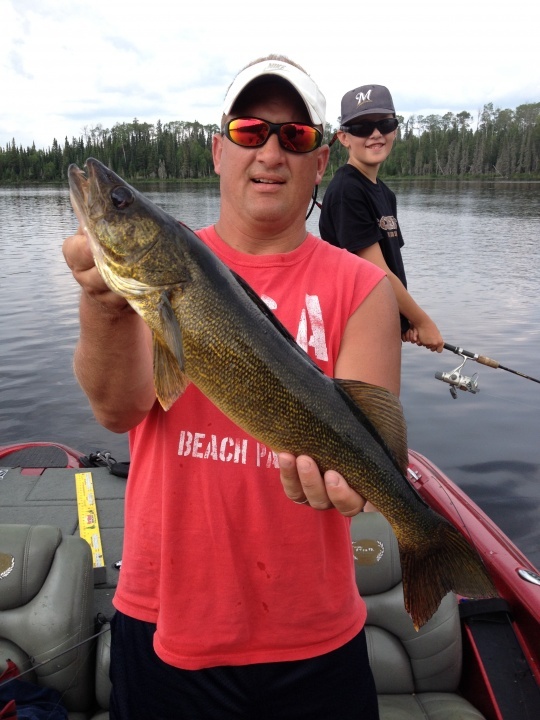 Now is not the time to be fishing Walleye. 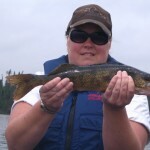 Catching and releasing fish about to spawn will cause stress increasing the mortality rate of the big females. 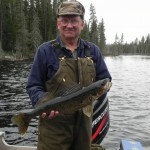 Wait until the fish are done spawning then you will find them in back bays warming up and recuperating. They are hungry and will be feeding heavily. 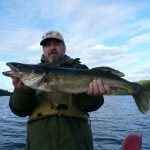 Cast and retrieve jig and minnow combos over 3-8ft of water in the back bays and along the north shorelines. 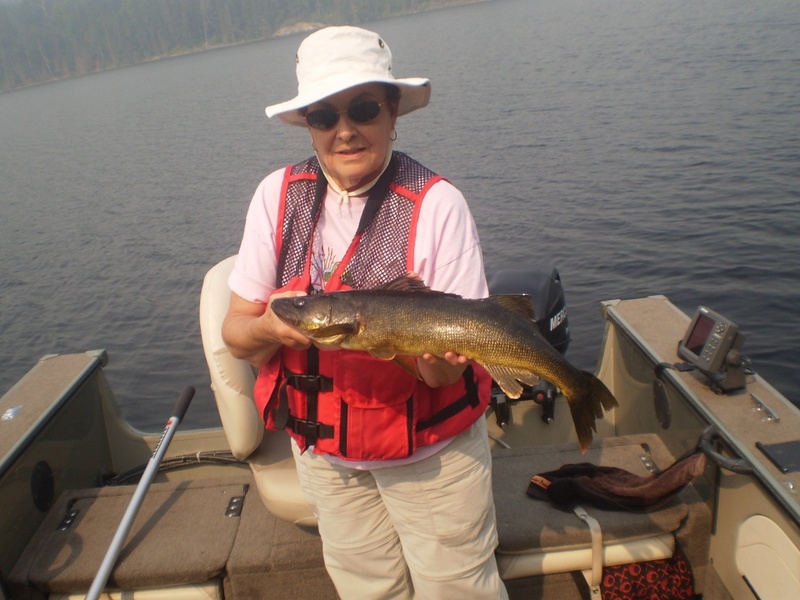 Use a medium light action rod with 8lbs test line. 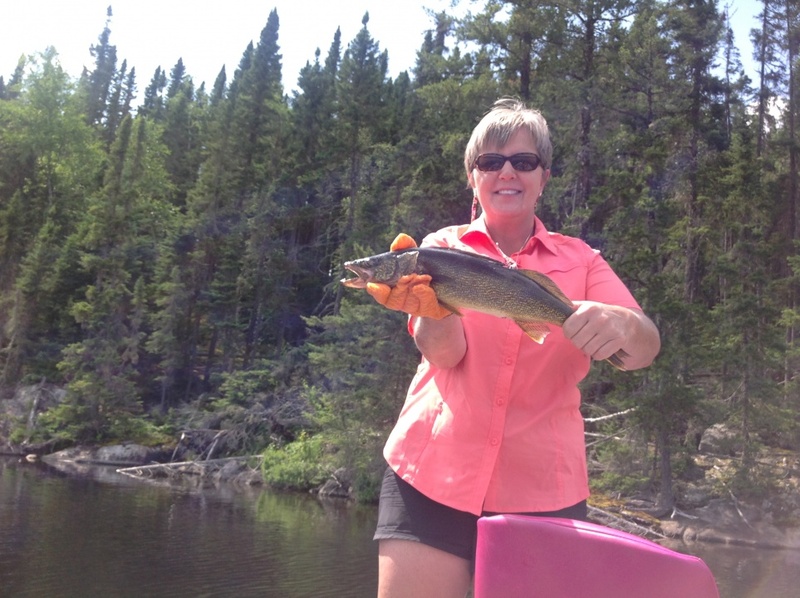 Toss as light a jig as possible allowing you to swim it slowly back to the boat. 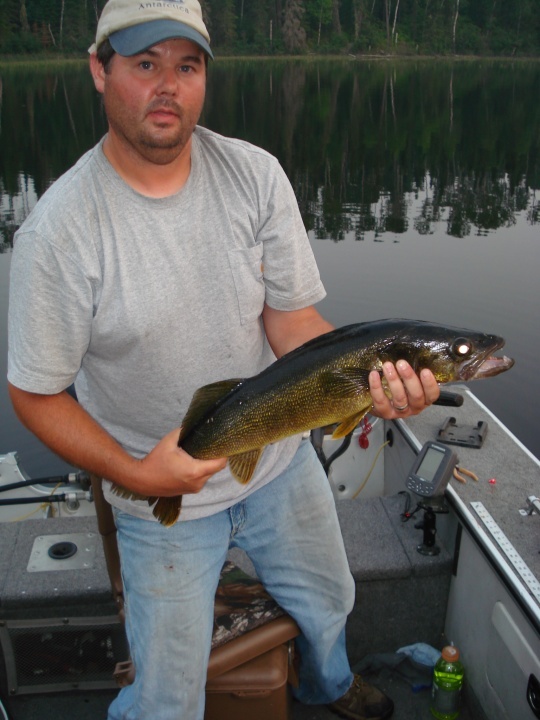 Walleye are scattered at this time of year so try slowly drifting across the bays when it isn’t windy fan casting as you go. When you find a good area throw out a marker buoy or anchor. When it is too windy, drop anchor and lift occasionally to drift to a different spot. 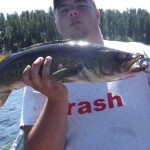 Casting suspension lures like Rapala Husky Jerks also works well too. Let the fish tell you how long to pause. Traditional colours are blue/silver, black/silver or clown for crankbaits and white, chartreuse, brown and black for jigs. Slowly troll shallow diving crankbaits well back of the boat. Floating Rapalas and Berkley Flickr Shad work great. 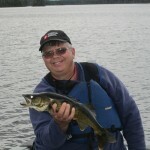 Jointed lures work well at this time of year too. Remember to bend over the barbs on your treble hooks. All you need to do is keep the pressure on the fish. Anchor off to the side of the area you would like to fish. I always have a slip bobber set up on a rod in my boat. But if you don’t it doesn’t take long to rig one up. I do like to use a coloured hook for a little attraction. 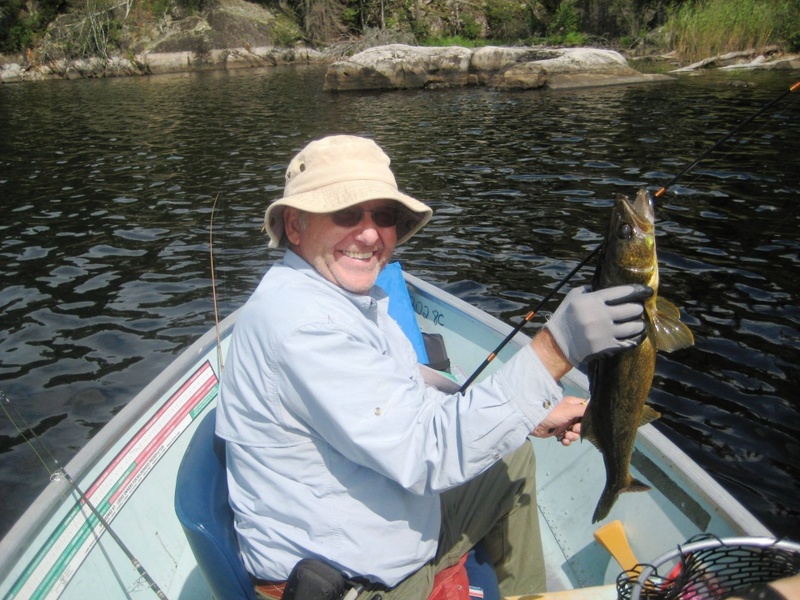 Hook a lively minnow through the back with the point coming out towards the head. Be sure to go parallel to the fish’s back so you don’t break their spine. You won’t need any weight in the shallow water. Set your bobber stop so your bait is a couple feet off bottom. Cast up into the wind and watch as your bobber slowly drifts past the boat. I like use an 8-9ft rod to be able to lift the line up and set the hook when the bobber disappears. 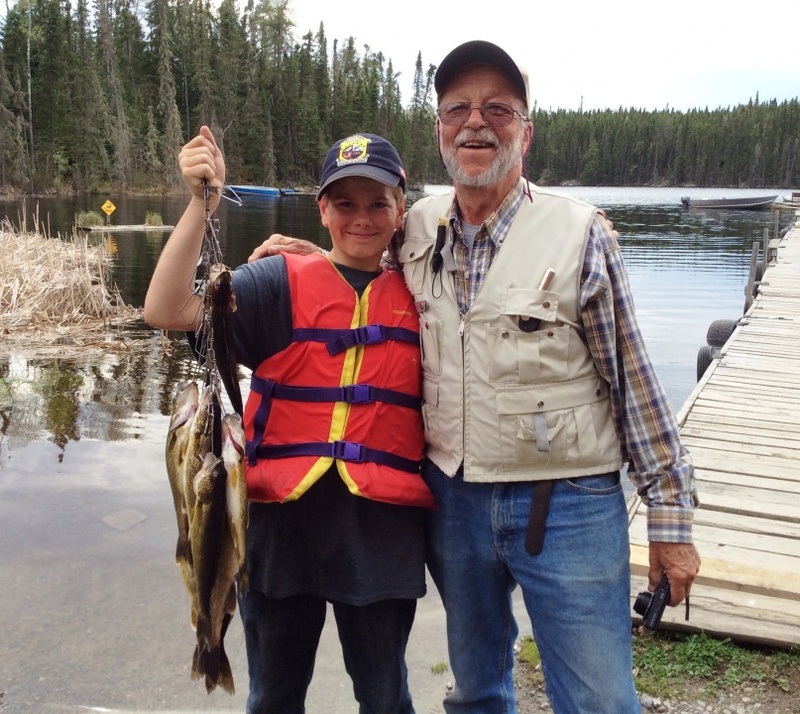 Transition walleye are fish on the move from spring post spawn locations to summer homes. Usually late June in our usually after a Mayfly hatch. 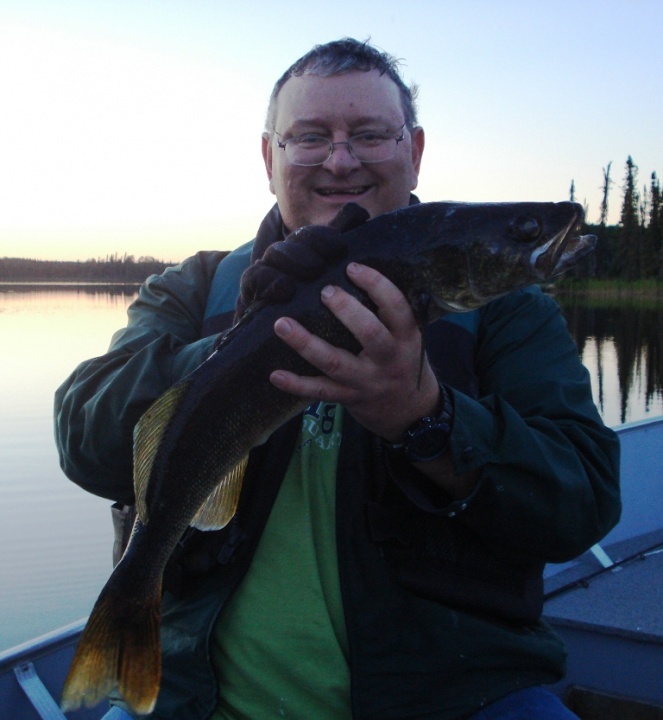 Because Walleye will travel great distances to spawn, they need to return home after they recuperate, hence the term transit-ion. Concentrate fishing current areas especially where there are deep pockets. Fish will travel at night stopping at deep pockets during the day giving anglers great opportunities at hungry fish. Jig and cast these areas with the same baits you use in the spring. You may have to use a heavier jig in the current. Most fish will look for forage facing up stream waiting for unsuspecting prey to drift over top. Slowly drift with the current for a natural presentation. 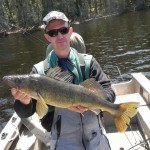 Walleye will also be in very shallow water, 1-2ft deep along the shoreline and in the pencil reeds. 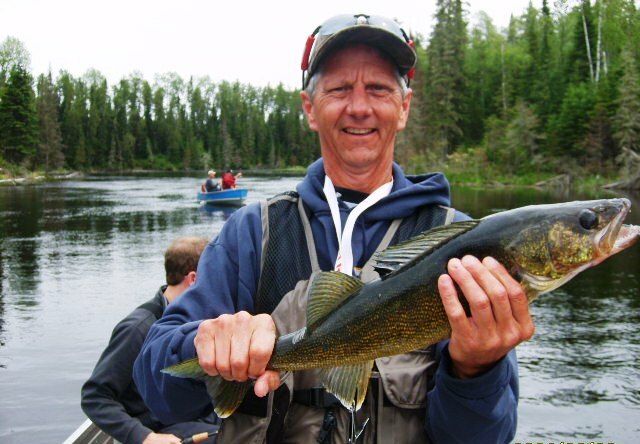 Most anglers don’t pick up on this pattern when they catch a Walleye tight to shore. 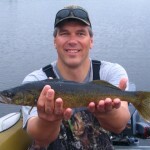 Usually there is a bug hatch taking place and the walleye are intercepting nymphs attempting to make it out of the water to metamorphose into a fly insect like a dragonfly. Cast small beetle spins in the weeds and drift a small piece of worm on a lindy rig along the shoreline to catch these shallow water fish. 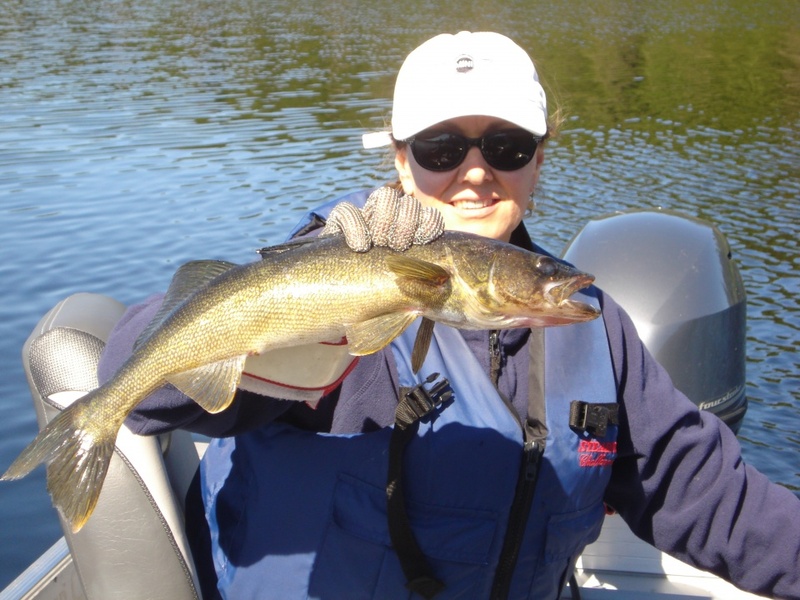 Once to their summer locations, walleye will keep on feeding right through the fall. Weedbeds are growing and waters warming. 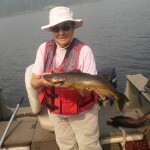 You will find fish active in many different locations. Colours depend on water clarity but for the most part stick to natural colours like perch, silver, brown, and black. 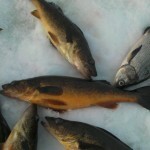 Both live bait and aritificial lures work at this time of year. 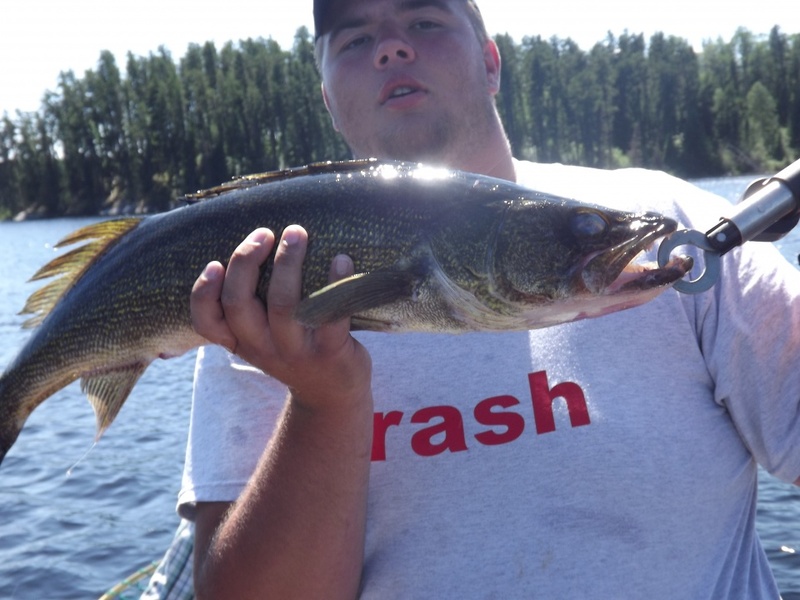 Weed walleye are ambush fish. Troll spinners tipped with a minnow, leech or night crawler along the edges. Cast weedless baits through the weeds and try flipping baits into pockets and ripping them back to the boat. 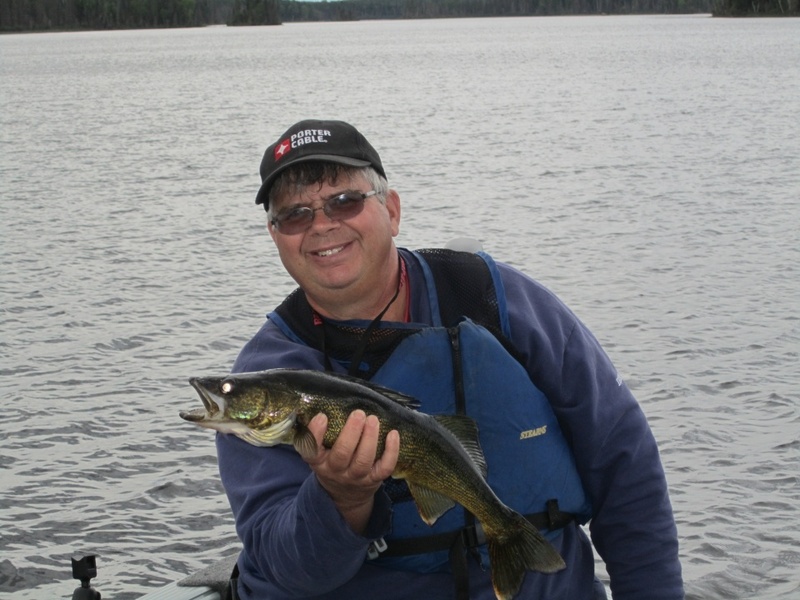 Look for walleye along drop-offs and near mid-lake structure. Most often the active fish are on the windward side. Start shallow and fan cast jigs pulling your presentation out over deeper water. Drifting and backtrolling around such structure is very productive. Use two to three marker buoys to give you a bunch of reference points when fishing to far from shore to use any sort of landmark. Markers are quick to locate and easy to work with. If you would like to be stealthier so others don’t see your fishing hole, use a gps/graph combo and work around waypoints you mark. 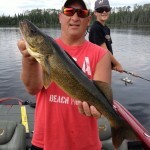 the operator does all the work but has the first lure in front of the fish! 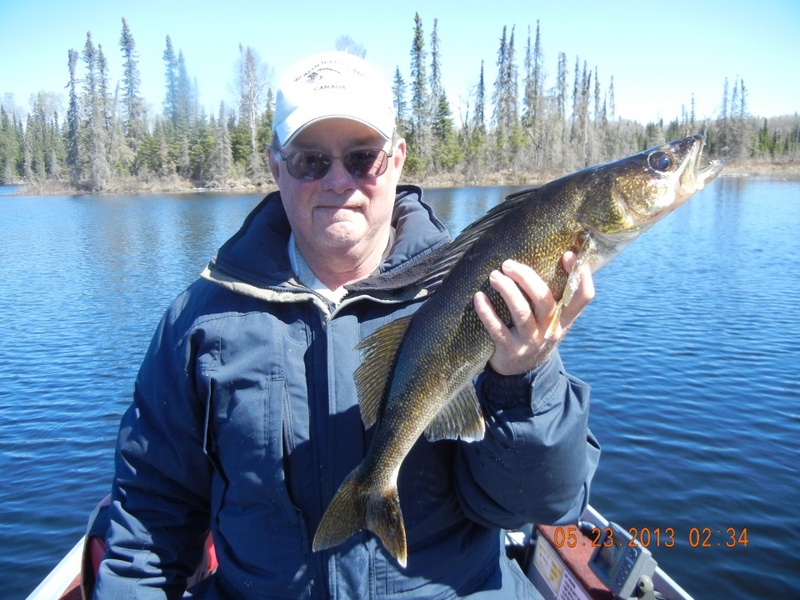 Using bottom bouncers when trolling for walleye keeps your lure close to the bottom and opens up your tackle box to just about any lure selection. There are many forms of bottom bouncers and weights one can use to maintain contact with the bottom of the lake. Use 1oz of weight for every 10ft of water. Keep your line at a 45 degree angle to the surface of the water. This keeps your bottom bouncer upright. 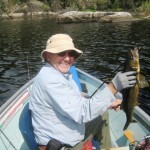 Use a sweeping action forward and up to set the hook. This is the quickest way to remove the bit of slack line created by the weight. Add extra weight and speed troll a slow death hook rigged with a night crawler to search for active fish. Slip sinkers are worked the exact same way but the angler now has the ability to feed line to a finicky fish without the fish feeling the weight. Single hooks or floating jig heads for a very subtle presentation. Casting and trolling crankbaits eliminates the need for live bait. 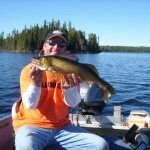 I personally believe trolling a crankbait will catch bigger fish than jigging or trolling live bait. 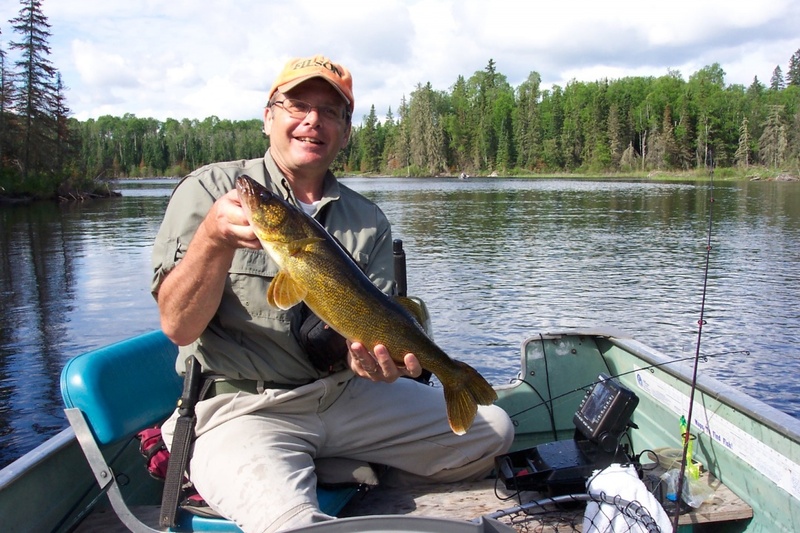 Depending on the depth of the water determines how deep you want to dive your bait. Tick the top of the weeds, swim above everything or have the bill stirring up debris and banging into everything on the bottom of the lake. 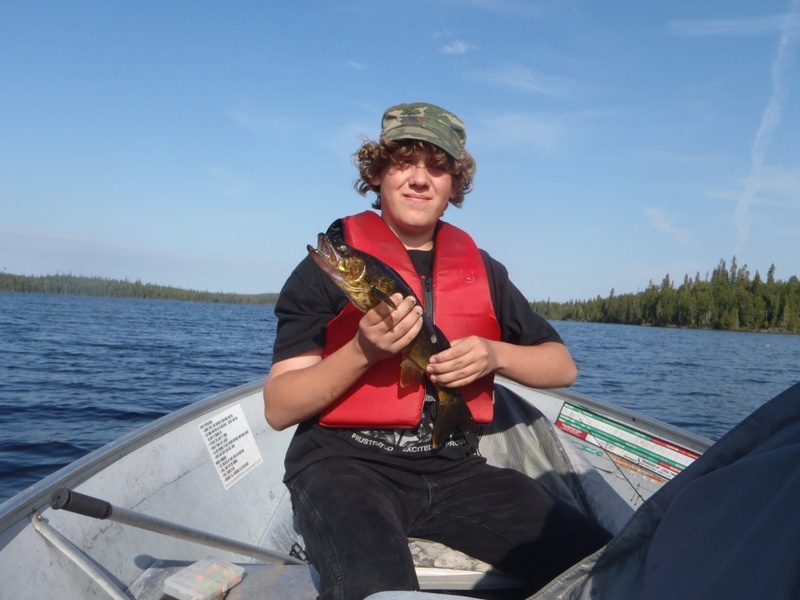 Tying directly to the lure will give it more action but you may lose lures to Northern Pike. Use a 6ft piece of 50Lbs fluorocarbon leader material to keep the action and land those other toothy predators. Remember to pinch down the barbs on multi-hook lures. 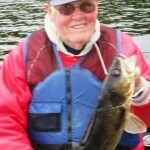 The fish appreciate it and you will spend more time fishing than untangling lures from the landing net. 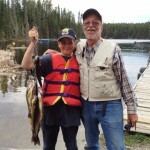 Fall fishing is an extension of summer fishing. 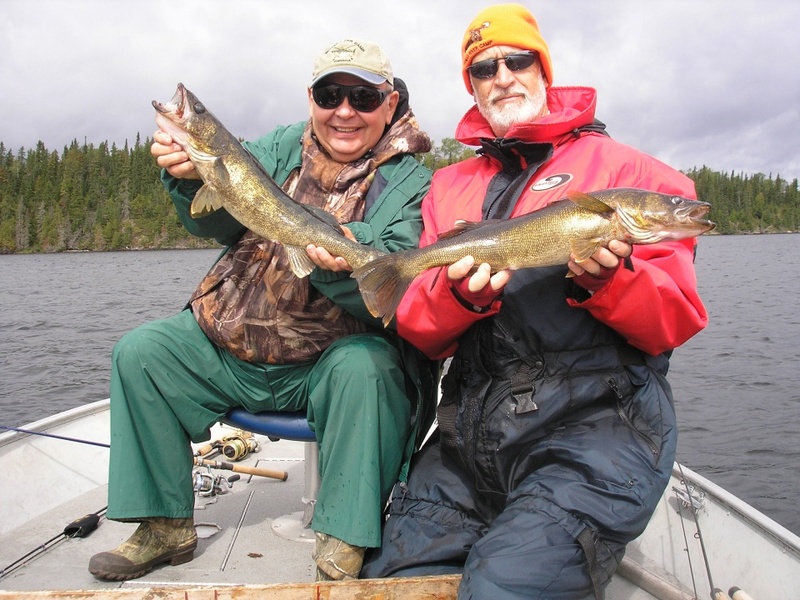 Walleye tend to move deeper as the seasons progress. 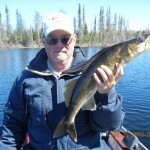 In the spring time Walleye are caught as shallow as a foot of water. Come fall, you can catch fish as deep as 40ft. This will eliminate the casting of crankbaits but jigging and trolling bottom bouncers are very productive. The fish are feeding heavily as they prepare for winter. Live bait is the way to go. When fishing in depths greater than 30ft, it is very important to reel your fish in slowly. Most freshwater fish brought up from the depths too quickly will result in their death. Fish will swim away when released like there is nothing the matter but within a couple of days, they will be dead. 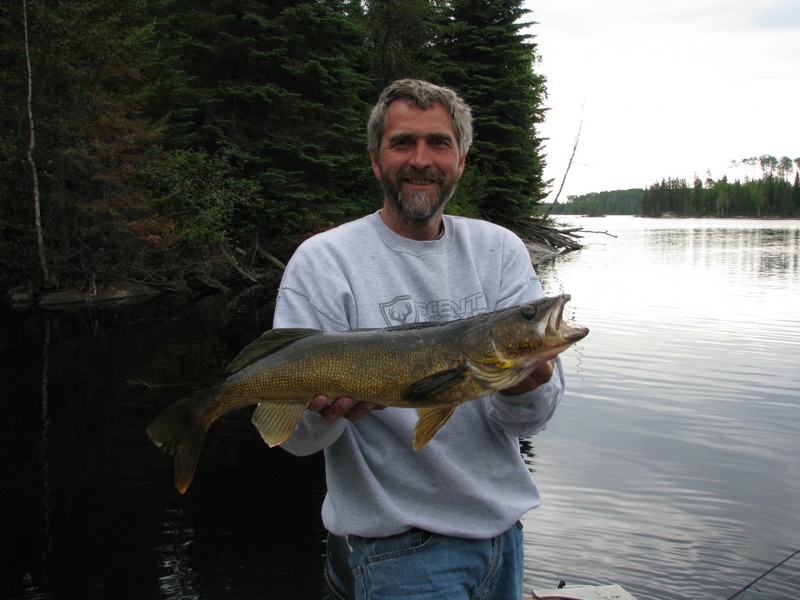 On the Woman River, only Lake Trout have the ability to burp allowing them to deal with pressure changes on the way to the surface. All other fish will get the “bends” and die from internal organ damage which results from quick pressure changes. Reel them in slowly! What a great time of year to be out enjoying nature and a good bite. 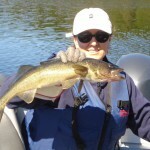 Just like the rest of the year, Walleye are most active during low light early in the morning and later in the evening. At Woman River Camp, days are quite short allowing you to catch your supper and still eat at a reasonable hour. When setting up in a new area, I like to drill a pattern of holes like that of wagon wheel spokes. With a minimum of 4 spokes to start with and then adding as I go. Each spoke will have anywhere from 3-5 holes spaced out 20-30ft apart. 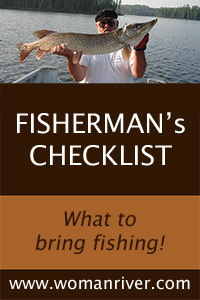 Set up a tip up in the center and then jig fish each hole in a row for 5-10 minutes. 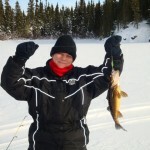 Northland Buckshot Rattles are a favourite jigging spoon tipped with a minnow. 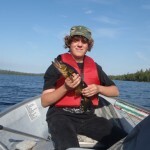 Lots of times, trophy Northern Pike are caught while the sun is higher in the sky. 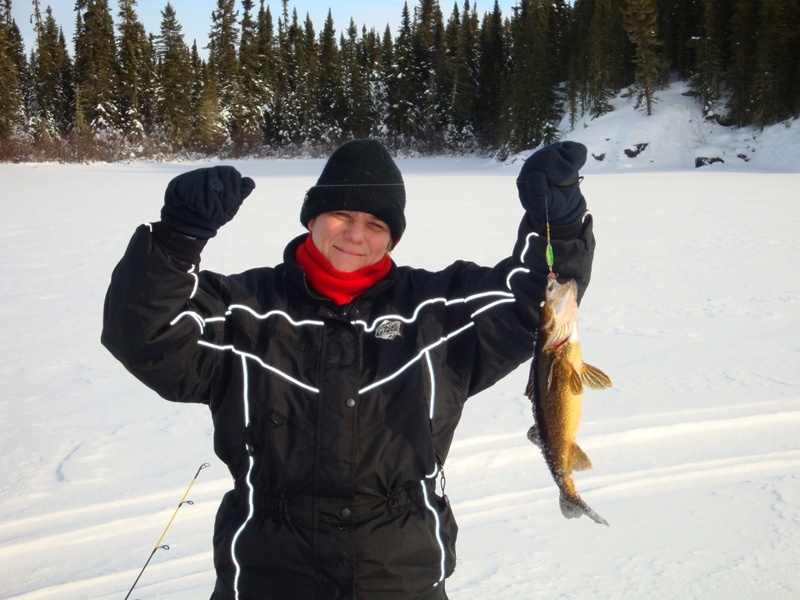 You can only fish vertically through the ice, giving the Walleye plenty of time to look over your bait. 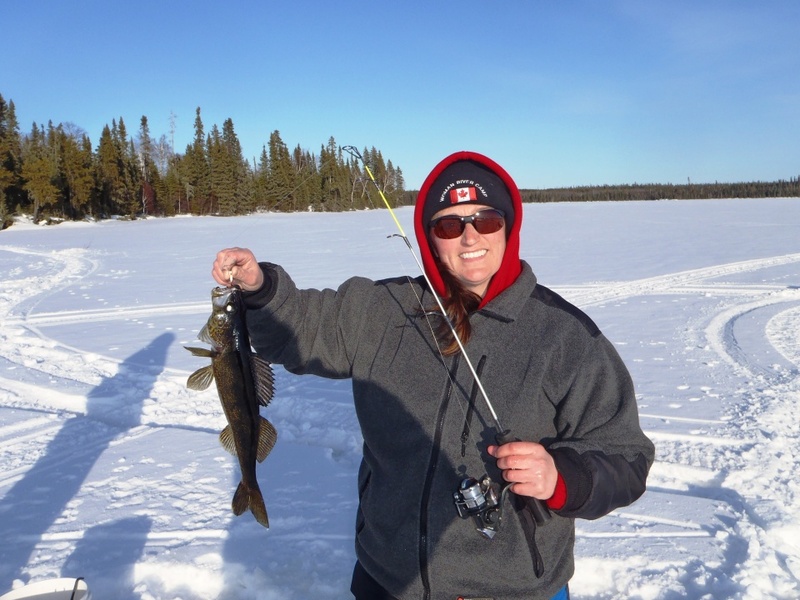 When jigging more aggressively, they seem to hit harder. 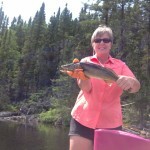 There are days when a plain hook and minnow works best. Experiment. Mark the most productive holes with your GPS to give yourself a good starting point when you return next time. 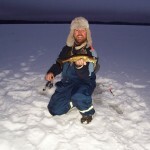 I like water depths ranging from 5-16ft, including ice thickness. 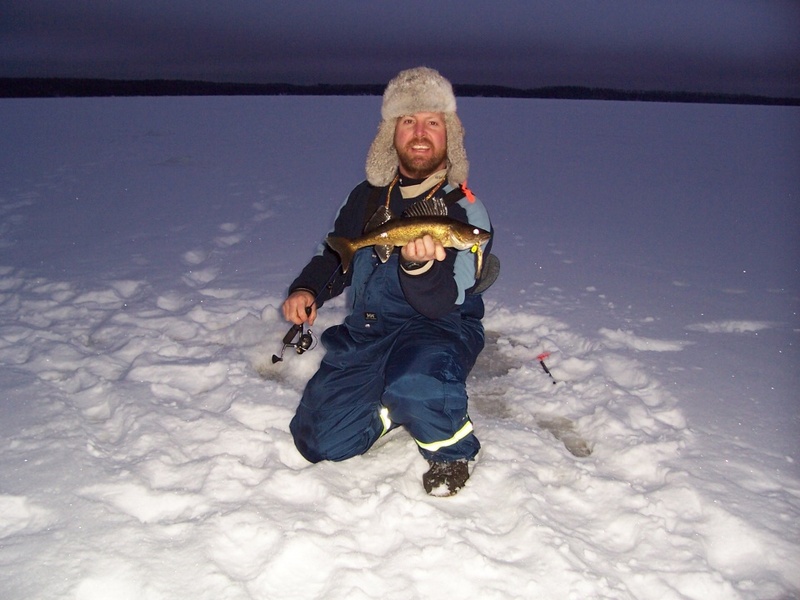 Sometimes the vibration of the auger or a snowmobile driving on the ice triggers fish to be active. 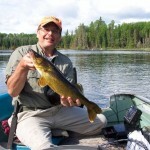 Remember to keep the fish wet and quickly take photos and carefully release the bigger fish. 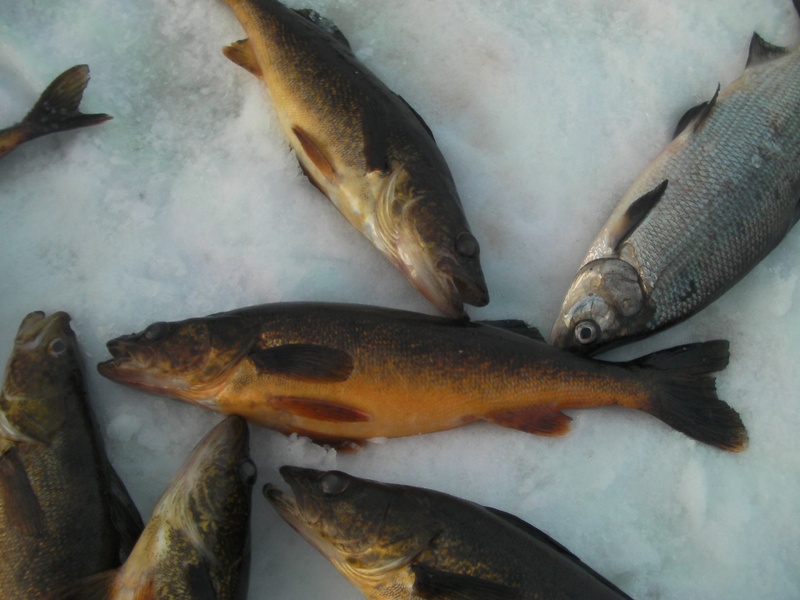 Cold temperatures will quickly freeze a fish’s gills and eyes. Have your pliers and camera handy. 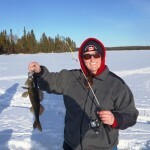 Pinch down the barbs on multiple hook lures. When using bait, simply add a small piece of elastic band to keep the bait on the hook. When you pull the fish out of the water, start holding your breath. When you need to air so does the fish.